Have you ever had the chance to road trip cross country? I thought I had, since as a young girl our family's chosen mode of transportation was almost always a car. I had sat in the back seat bickering with my sister, reading books, and napping as my parents would haul us from Wisconsin to Florida, from Florida to Pennsylvania, and from Pennsylvania to Wisconsin and back again. After a childhood of car-rides, I thought I was a pro and had seen everything I needed to. This is the part where I tell you I was wrong. Though I have been relatively well acquainted with the eastern side of our country, until now there were few placed I had ventured to beyond the western edge of Minnesota. People talk about the rolling hills of Wyoming and the magnificent mountains of Montana, but I used to think they were all exaggerations. After all, lots of people who live in the the United States tend to have a pride for this land we have claimed...even if they disagree with the politics of our country or the ways in which the US treated the natives of this land, they still have a tendency to hold a prideful and protective stance on the natural landscape that lies within our boarders. After finding out I would be interning in Seattle this summer, I had to make the decision of whether I would fly out or drive. In the end it made more sense for me to have my car due to multiple reasons, so I began to plan my route and my packing list quickly began to grow. My mom did not want me to travel all that distance alone, so the biggest item on my packing list became my boyfriend, Ike (besides my Chacos, he was definitely the most useful thing I packed...since he ended up doing essentially all the driving). We ended up having some last minute chaos to sort out, such as moving out of our apartment and realizing that my car's air conditioning was broken and could not be fixed before the trip...but we stayed optimistic. We started our drive the day after our graduation ceremony, saying "see you soon" to Des Moines early that Monday morning. So began the trek to start my summer in Seattle. The first day of our trip started out relatively uneventful. The weather was nice and we were fresh into driving so the miles seemed to wiz by. Eventually the drive got a bit boring, but luckily Wall Drug was there to save us. 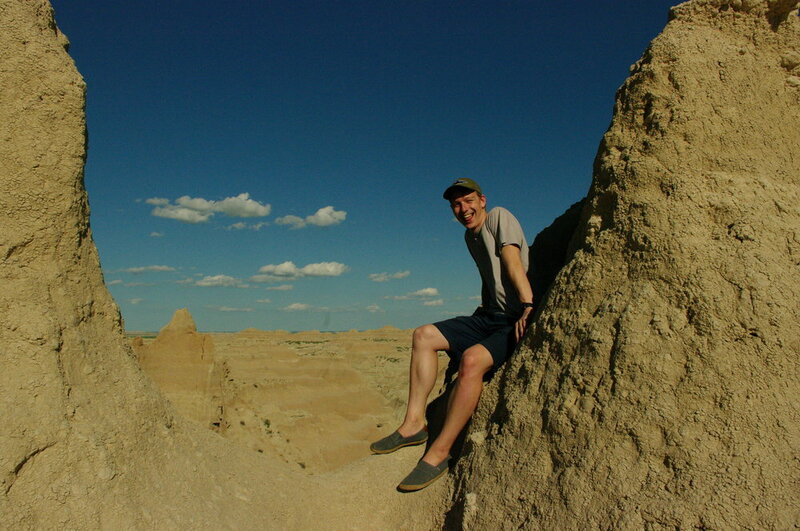 I don't know if any of you reading this have ever driven through South Dakota, but if you have then you have likely heard of Wall Drug...how could you not? Somewhere after Sioux City while driving West on I-90, we saw our first Wall Drug sign. People had mentioned this iconic place to us when we told them about our trip, but we were not prepared for the plethora of billboards that would also mention Wall Drug. I don't want to give too much away for those of you who have not had the pleasure of driving this same stretch of road, so all I will say further is this- thank you Wall Drug for adding comedy and anticipation to a landscape that can seem endless and just plain boring at times (pun intended). I never did get that free ice water, though. 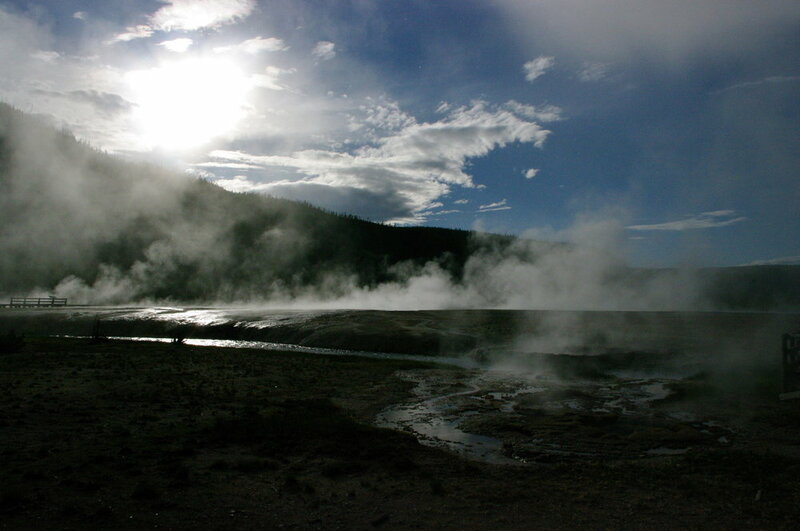 We planned to make it to our hotel in Rapid City and do most of our site-seeing in the area the next day. 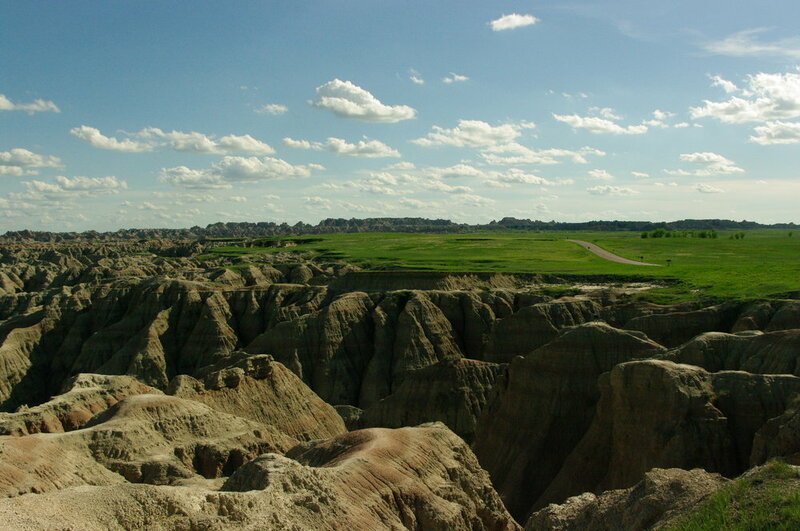 After realizing we were slightly ahead of schedule, the plan was changed and we made a detour into the Badlands. Wow. We arrived around 2pm, and had been driving all day through landscape so flat you felt you could see the curve of the Earth. 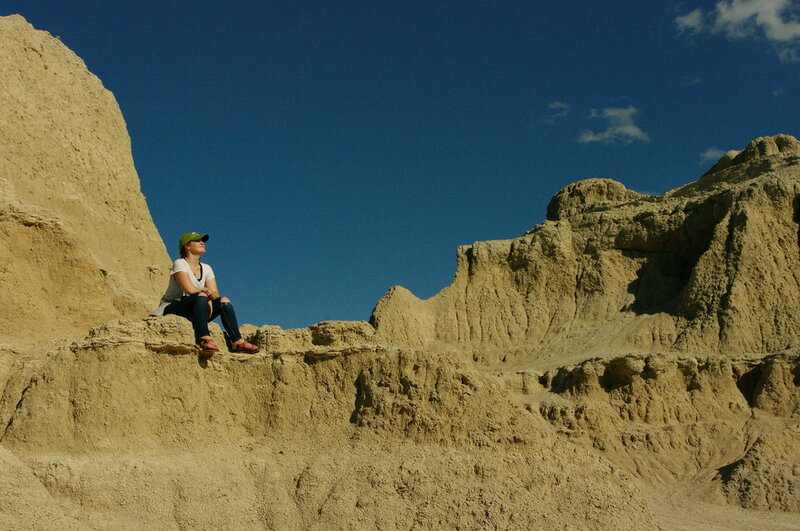 When you drive toward the Badlands, you can see just the slightest hints of cliff drop-offs and elevation change. Then pillars and piers slowly appear in the distance. You drive into the park...and suddenly you see this vast arena of pillared rock formations rising up from the ground one hundred feet below you with vast lower plaines extending out far beneath. One of my absolute favorite feelings in the world-the one that I crave-is being able to feel time, to know that you are in it's presence, and this was the first of many of those moments of this feeling on our trip. We drove around the national park with our windows down for most of the evening, just enjoying the fresh air, scenery, and each others company. We saw bighorn sheep, too many prairie dogs to count, and an American bison. After that we had some dinner and made our way to our hotel in Rapid City, South Dakota. We slept well after an amazing first day of the trip, even with the anticipation that there was so much more to come. First buffalo sighting of the trip! The second day of travel was far more about enjoying our drive than getting very far. We spent most of the day cruising from one park or monument to another, starting with Mount Rushmore. Most people I have talked to that have visited the granite presidents have said it left them with something to be desired and is a little underwhelming, so I was prepared to be disappointed. However, I think because I had heard these comments, my expectations were so low I actually thoroughly enjoyed it. As you drive through the hills toward the monument, the stone-carved faces peak out every once and a while, giving it an appreciated (by me at least) accessibility. I liked that to witness this national relic that there was no ticket purchase required. 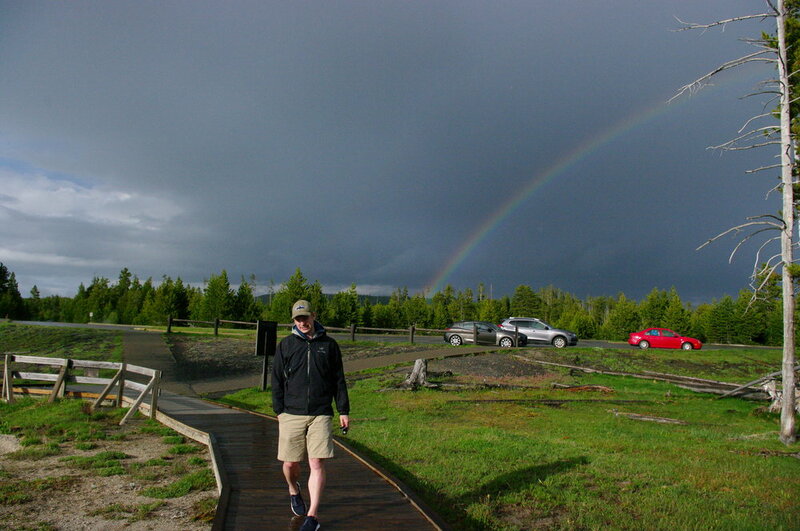 Instead, if you couldn't afford or didn't want to chalk up the fee to get into the actual park area, you could at least pull over to the side of the road and take in the view. Ike and I ended up paying the entrance fee to see Mount Rushmore a bit closer and to check out the gift shop (embarrassingly one of my favorite things to do at any tourist attraction). Though we didn't stay long, the trails were nice and there was a sense of appreciation and respect that seemed to resound throughout the people and the place. Our next stop (after getting some food in our bellies) was Crazy Horse. Once we had seen Mount Rushmore, I felt the need to give my respect and attention to the monument that pays tribute to and actively tries to help the people who had their land taken from them. The Native American people have a powerful history, and it was so satisfying to see a place dedicated to remembering their past, bettering their present, and offering opportunity for their future. Though the monument has been in construction for decades, it was cool to see the work they have accomplished. Few people are aware that the project is not only about the carving of Crazy horse, but also about developing some of the surrounding area to bring health care facilities, colleges, an airport and other things to the native people so they have access to education and opportunity. The visit was eye-opening for us, and though we felt the same appreciation and respect in the air as we did at Mount Rushmore, the feel of it was completely different, almost humbling. 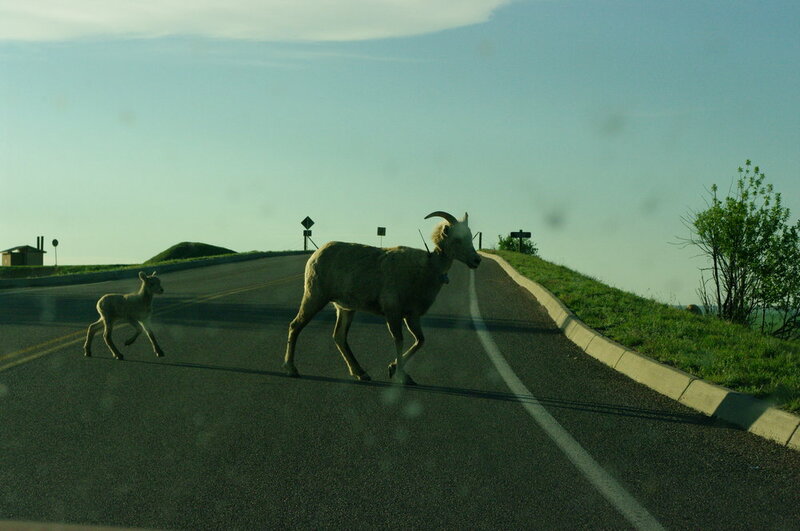 Afterward, we drove through Custer State Park and made our way to Wind Cave National Park. 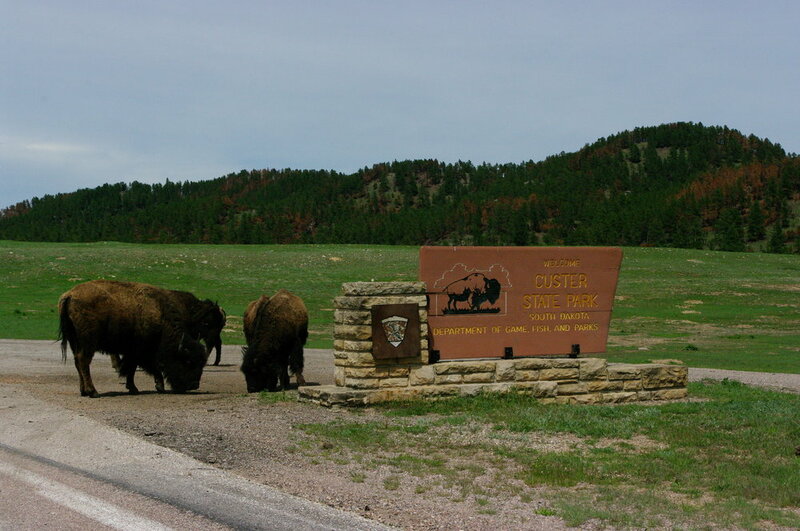 Custer provided us with a wonderful scenic route of winding roads, open hills, forested creeks, and of coarse some roaming buffalo. Going to Wind Cave was a spur-of-the-moment decision, but ended up being a great one. It turns out that located under the vast prairies and rolling hills in this area of South Dakota lies a sprawling cave system that spans more than two hundred known miles, making it one of the largest cave systems in the world. Ike and I took a tour of a small portion of the cave, and learned a ton from our highly qualified tour guide. Though I won't bore those reading this with too many of those facts, I will mention two. The first being that the cave got it's name due to it's difference in pressure with respect to the atmosphere. It is a large cave system with a few small openings, so when the atmospheric pressure is high, the air flows into the cave, and when it is low, wind will flow out. To keep the cave pressurized and protect other conditions in the cave such as level of moisture, there is a sealed system of doors that you enter the cave through. The other interesting fact is that while many caves are know to have stalactites, stalagmites, and bats, this cave has few to none of any of those. It is a dry cave that instead is home to about 95% of the world's boxwork, a unique rock structure. Our last stop of the day was our hotel in Deadwood, South Dakota. 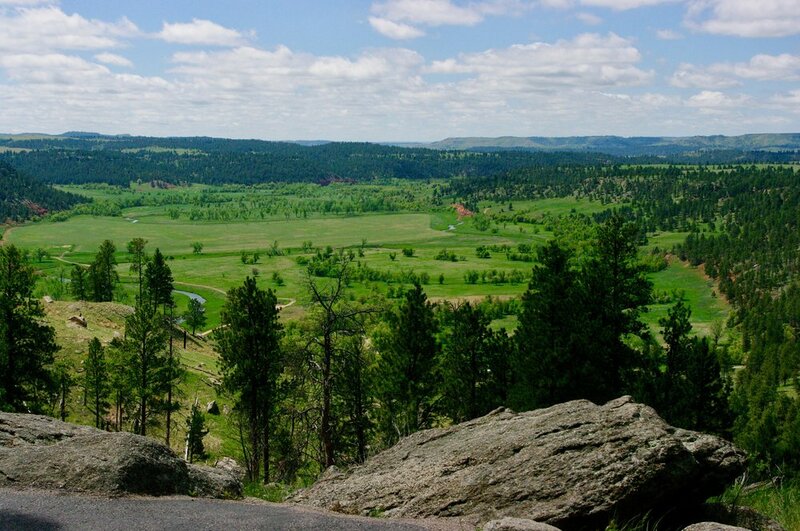 You may be thinking I missed something, being I haven't mentioned the Black Hills. It isn't that I've forgotten the park, but I didn't think it warranted much of this post's attention since we never actually stopped in the park. We did drive around the beautiful hills though and were able to take in their majesty as we zoomed around the southwest corner of South Dakota. Graduation picture with the presidents! On the third day of our trip, we headed out early after a good nights rest and made our way to Devil's Tower, per my request. 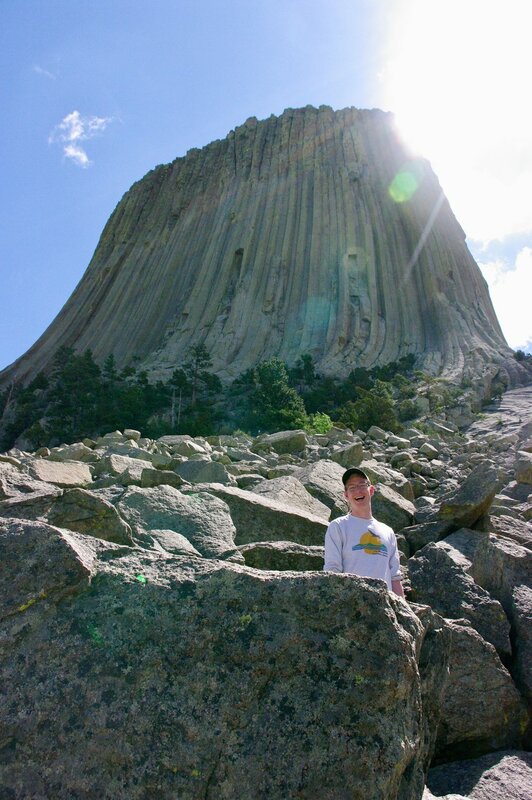 I didn't know about Devil's Tower until last summer when I was able to watch the IMAX movie, National Parks Adventure, with my campers at the Science Center of Iowa. 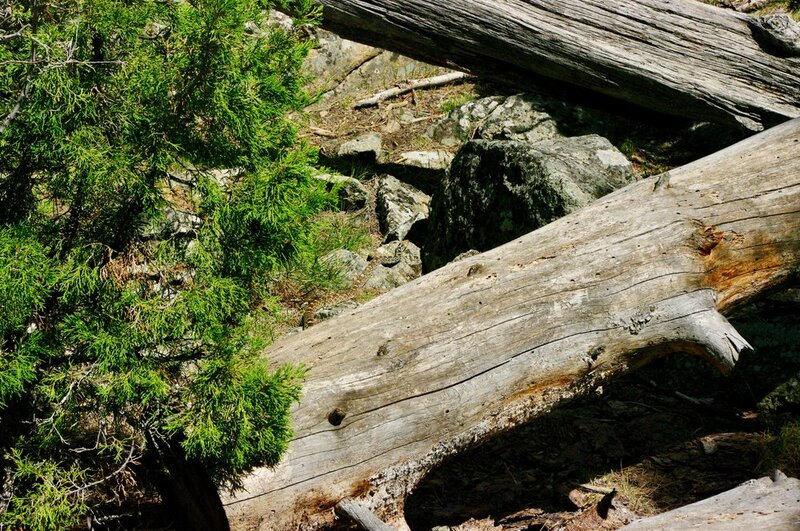 I saw the big natural structure on the screen and added it quickly to my list of must-visits. This park, though smaller than some, ended up being my second favorite of the trip. 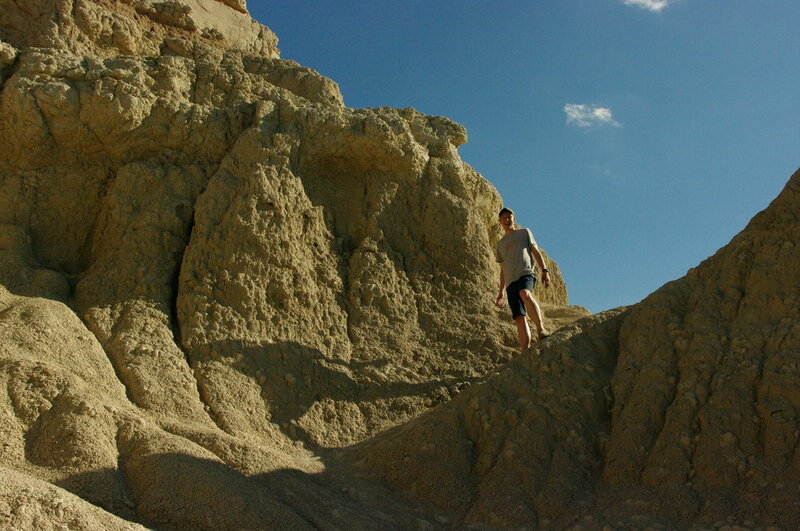 As you drive toward the butte, it subtly grows until you are coming up upon a striking and staggeringly tall rock. 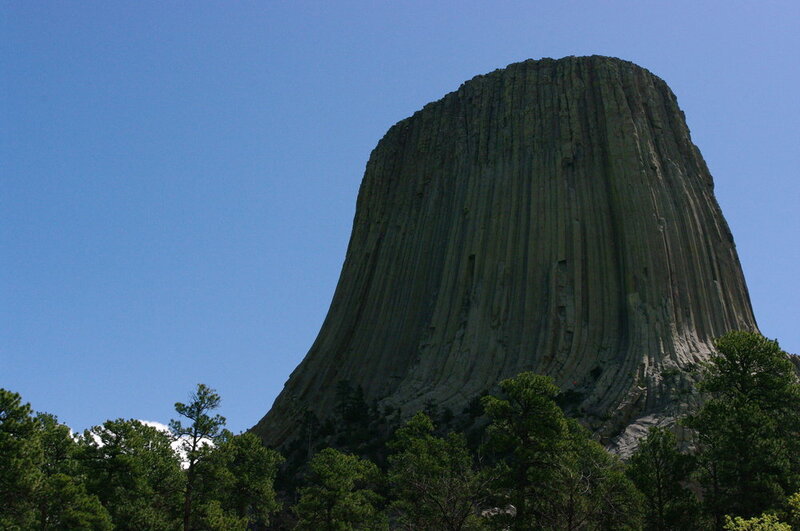 I always wondered why so many natural formations have been given the name Devil- Devil's Tower, Devil's Lake, Devil's Caldron, Devil's Door, etc. I learned while at the park that this tower was actually named something close to "Bear's House" but it was mistranslated to "Bad God's Tower". We took the opportunity to stretch our legs before driving more and walked the trail that circles around the tower. It was a beautiful hike in all directions, but my favorite direction to look was definitely up. It was a clear day, so there were probably about a dozen climbers making their way up to the top, following various paths around the butte. It was fascinating to watch these rock climbers, as well as listen as they called out to one another and strategized their next moves. On our hike we ran into the family of one of the climbers, and signed a card congratulating him on his achievement. My least favorite part was definitely the snake we saw gliding across the path, but even that was cool to see. I definitely took far too many pictures at this park, but I have to say it is one I highly recommend. After leaving the park, we had a long drive ahead of us to our next destination, which was our campsite just outside of the east side of Yellowstone. This was our first of two nights of camping on the trip and it went...alright. Ike and I made our way to the campsite the best we could. It ended up being somewhat off the beaten path, with us having to drive through multiple private properties and off-roading it in my poor little two-wheel drive Jetta. 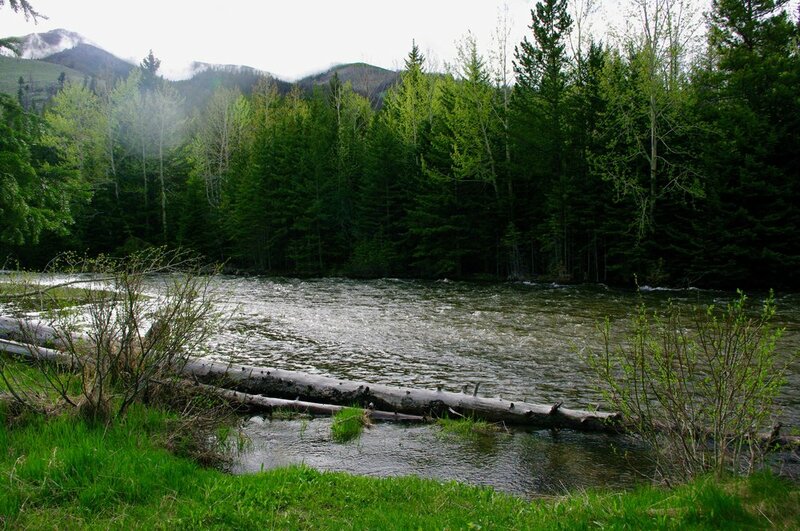 The campsite was gorgeous since it was tucked away in a Wyoming mountain valley with a rapid river not fifty yards from our tent. 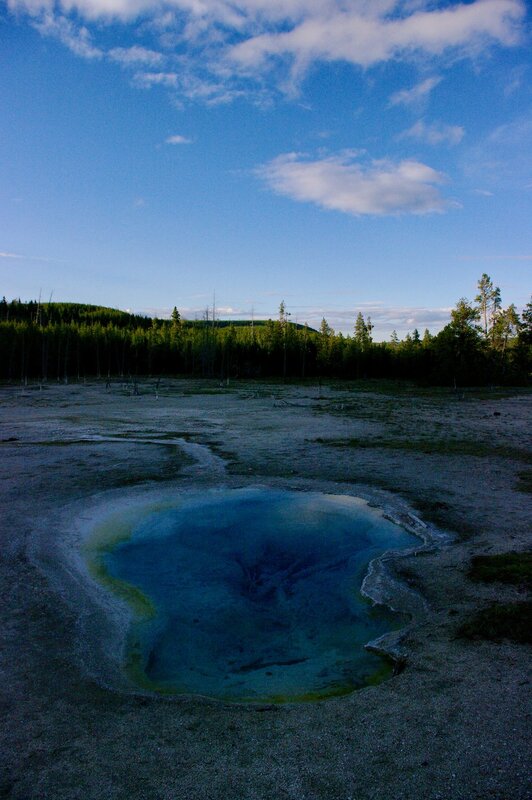 We learned that Yellowstone's summer tourist time started a few days to a week after we were getting there, so it turned out that we were completely alone at our campsite. While both Ike and I have spend plenty of time camping up north in the Boundary Waters, neither of us had been camping completely alone before....and it didn't help ease our minds that our parents kept warning us about bears and that there were posters littering the campsite about how to prevent a bear interaction. To settle ourselves, we set up camp and drove into the nearest down where we grabbed a bit to eat (we were going to cook some salmon we packed at our campsite...but with bears on the mind that didn't happen) and shamelessly bought some bear spray at the gas station. Arriving back at our tent we did our best to get some sleep and prepare for our day at Yellowstone. I was super excited about the star gazing programs they have at the park! 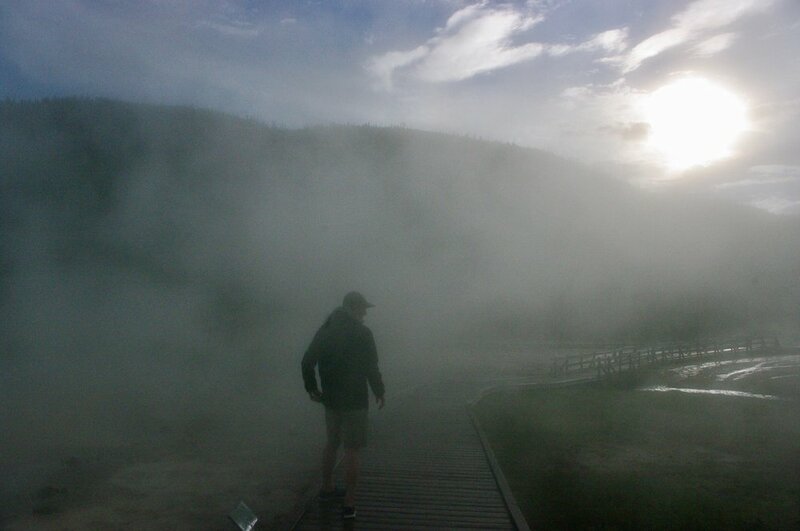 Yellowstone had been a place I had heard mentioned a lot but knew little about. 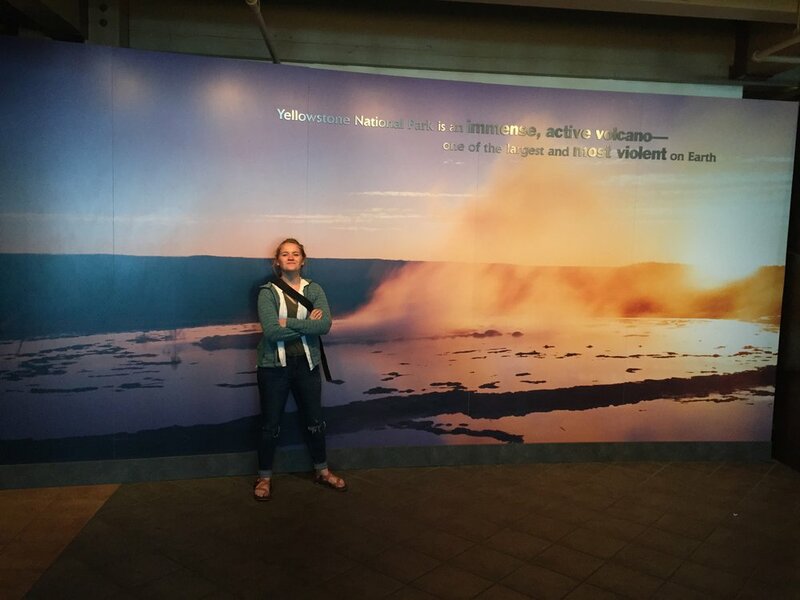 Of coarse people talk about the geysers, Old Faithful, the geothermal activity, and the animals like buffalo that roam the land...and while that is a decent five-second summary, it did nothing to prepare me for the beauty and vastness of this national park. 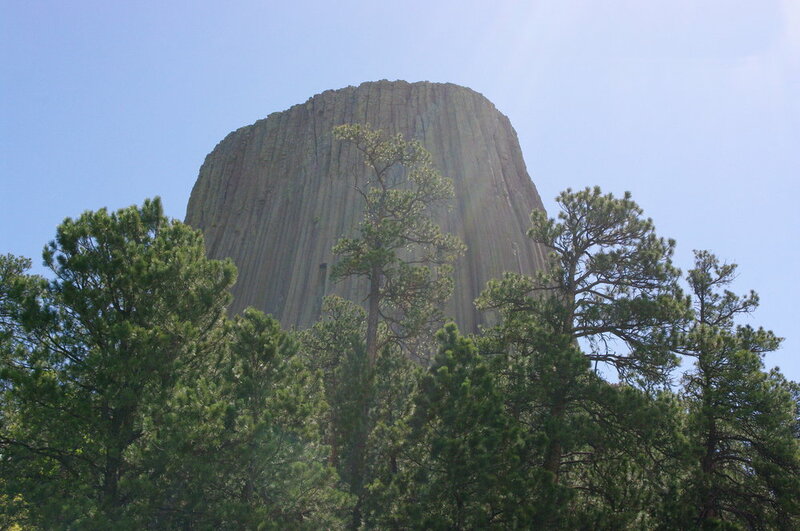 You may remember me mentioning that Devil's Tower became my second favorite park....thats because this one is first. When we first drove into the park, we were in the mountains at a higher elevation since we entered in the east side of the park. At first we still saw green grass with elk grazing, but it then morphed into a wintery landscape of barren trees and snow covered ground. I couldn't believe chilly it was at this time of year, even if we were high in elevation. Eventually as we moved west and left some of the mountains behind the temperature increased and the snow disappeared. 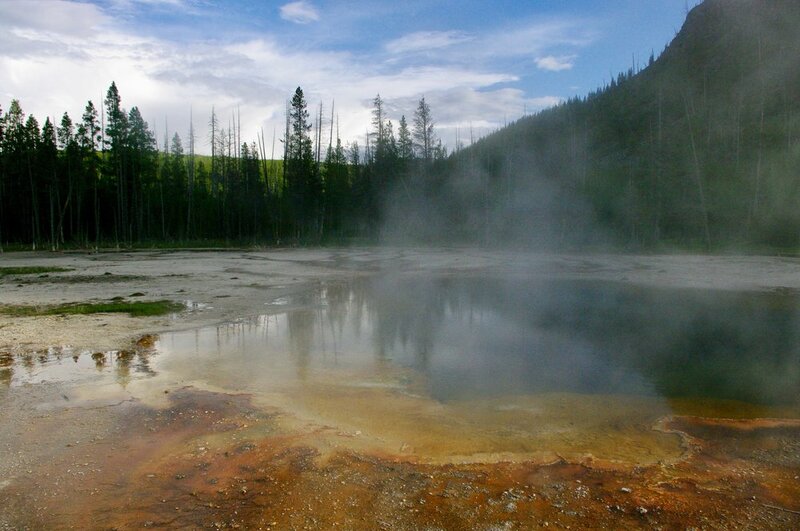 The first bit of geothermal activity we saw was along the edge of Yellowstone Lake near the road. I got super excited and made Ike pull the car over so we could check it out. Little did I know that the little bit of sulfur steam wasn't even an appetizer for what was to come. We got back in the car and continued to drive to a visitor center where we grabbed some food and figured out what we wanted to see. 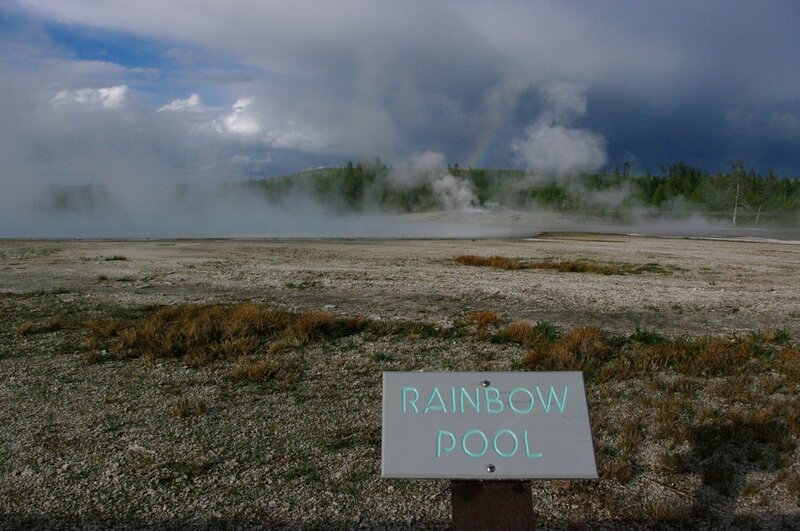 We began at the mud volcano, made our way over to Old Faithful, and then visited some hot springs, one of my favorite features of the park. 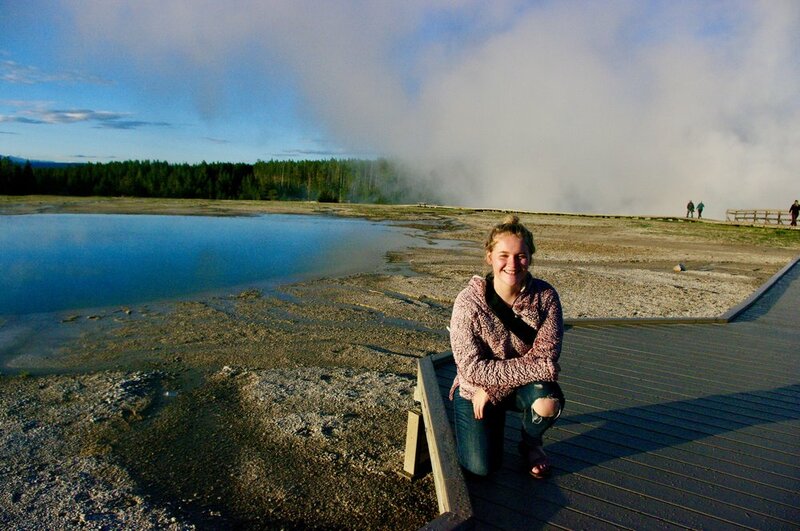 I hadn't realized just how much there is to see at Yellowstone, so Ike laughed at me when at Old Faithful I was hesitant to wait around for an eruption since I wanted to cover as much ground as possible. Patience was a virtue in this case since watching Old Faithful was a site to see, and I loved the camaraderie between all the spectators who had all come to watch the same spectacle. I also want to point out how cool the visitor centers and education areas are within the park. 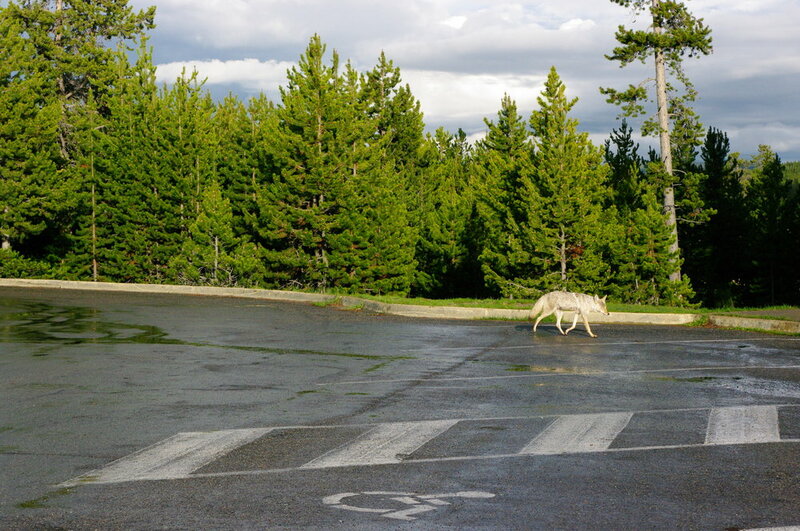 Yellowstone does a great job of having interactive and interesting areas where people can learn more about the science behind these natural wonders. 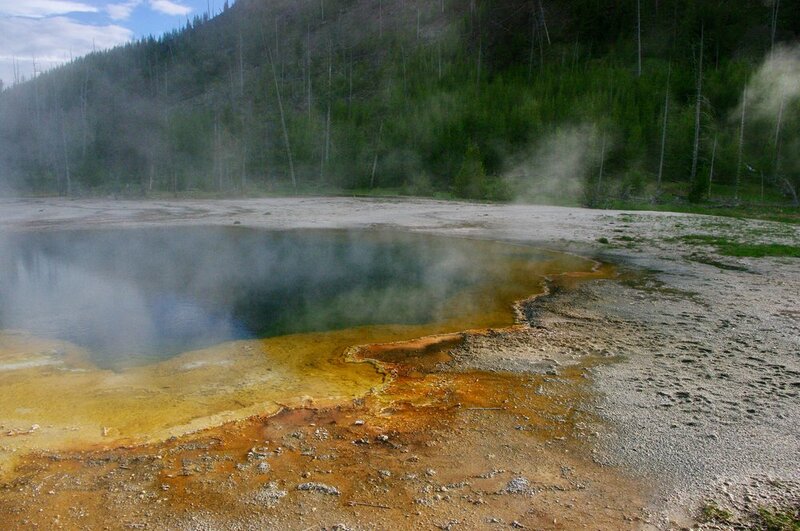 Way to go Yellowstone! 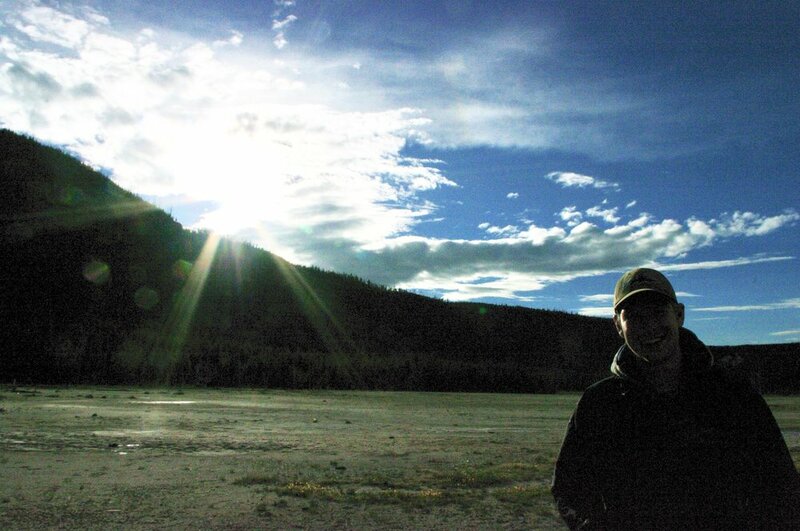 By the end of the day, Ike and I were racing the sun as we crammed in as many sites as the daylight would let us. Because it was getting dark, when we visited the largest hot spring, the Grand Prism, the angle of the sunlight made it so everything was a glassy reflection with no colored prism to be seen. It was still a breathtaking view though. We drove out of the park through the west entrance and found our second campsite, where we were happy to see many other campers set up. The one catch was that as we drove that night, my Jetta's check engine light came on, so our plans for the next day quickly changed. We decided to try our best not to worry since it wouldn't do us much good and snuggled up in our sleeping bags to a good nights sleep. We woke up early the next morning so we could get my car sorted out and to make sure we would still be able to make it to Seattle. Ike called around to find a mechanic who would be able to help us out, which ended up paying off. The car was checked out and though it certainly had it's problems, it looked like the Jetta would be able to get us safely to Seattle. 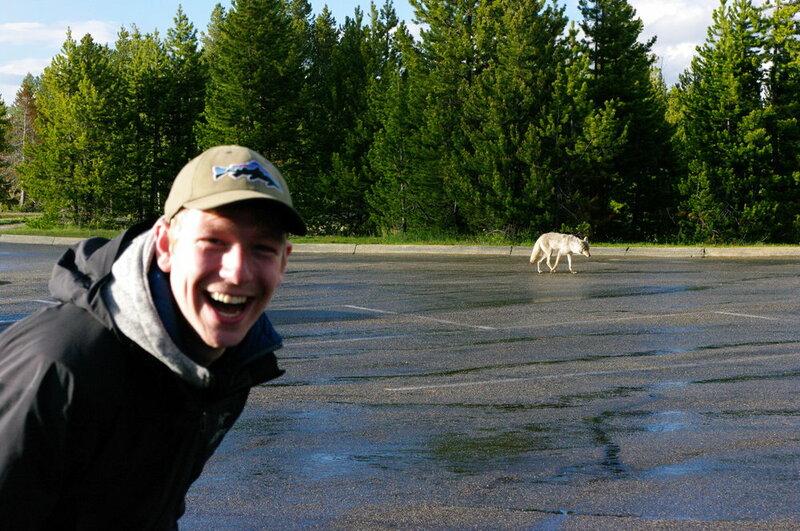 Unfortunately having to deal with this took time out of our visit to Yellowstone, but we were able to venture into the park for one last look around. 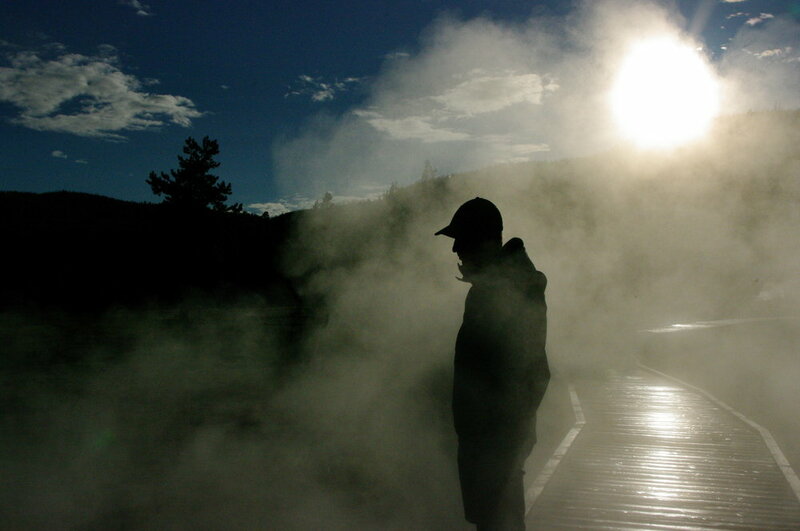 This time we traveled north up to Mammoth Hot Springs. The drive to get there was breathtaking, though I suppose you could say that about all the roads in Yellowstone. 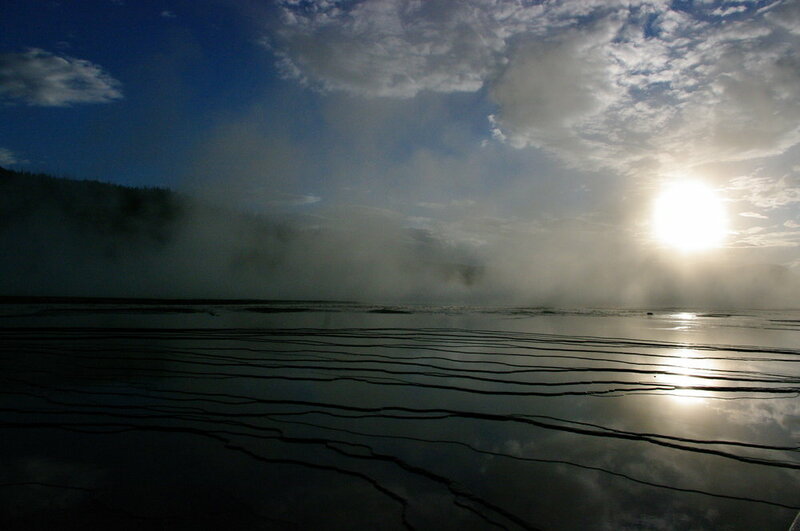 Mammoth Springs has many hot springs and travertine terraces that drop off the edge of barren cliffs. The image of steaming white wasteland with dead trees and sulfur smells in the foreground with beautiful lush hills and towering snow-capped mountains in the back was striking. Not something I will soon forget. Both Ike and I were a bit tired and antsy since we knew we had a long drive ahead of us and while we didn't want to leave this incredible park so soon, we headed out to make some trails. 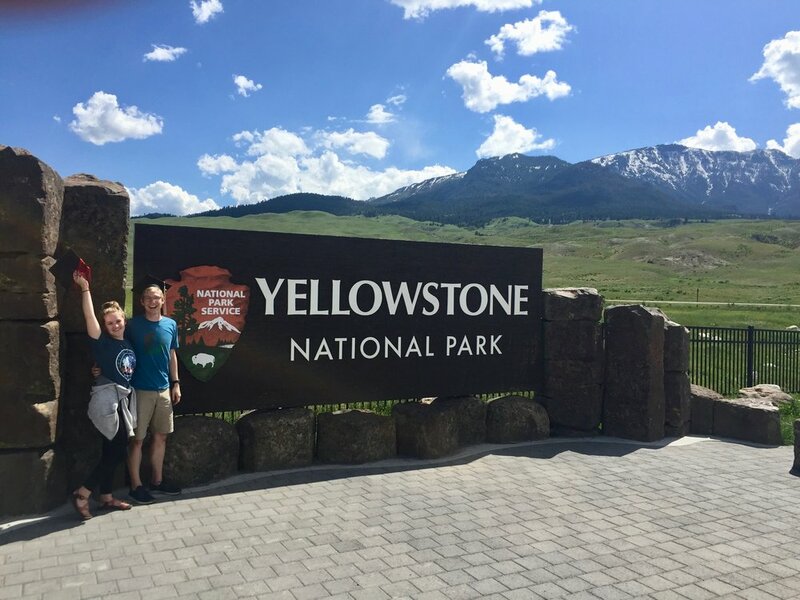 Our last worthwhile experience to share from this day came as we were driving out of Yellowstone in the mountain valleys of Montana. We could see some curtains of rain ahead of us, but didn't think much of it at first. I was just enjoying the view of the sunny mountains, elk, and the rainstorm. As we got closer we realized it was very hard to see the landscape behind the storm....and then before we knew it a thick white sheet of rain was quickly approaching. I love storms, and I would say Ike likes them okay too, but boy did this one scare us (or me at least...for the most part Ike was the picture of tranquility as he drove through it). I had never experienced a storm where you can see the literal wall of rain coming at you before. Needless to say we made it through okay thanks to Ike's great driving skills and level head, while I was no help taking pictures and searching for lightning. 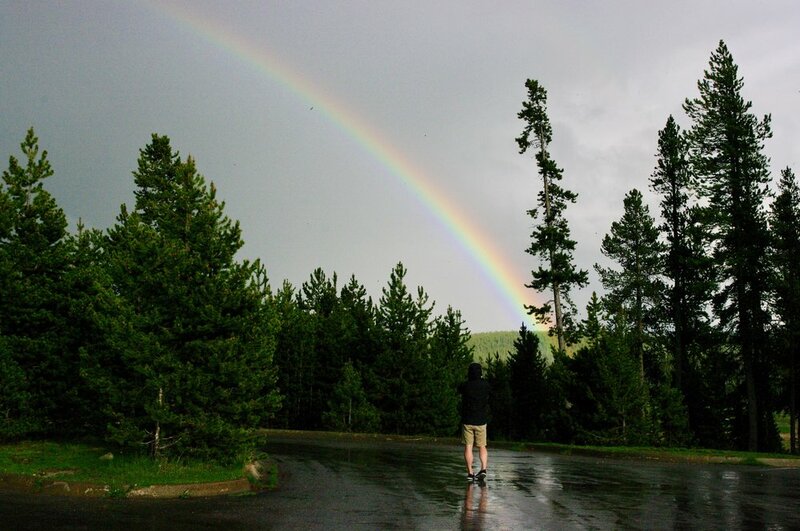 We encountered many more storms that day, but we were able to make it to our hotel in Missoula without too much trouble. 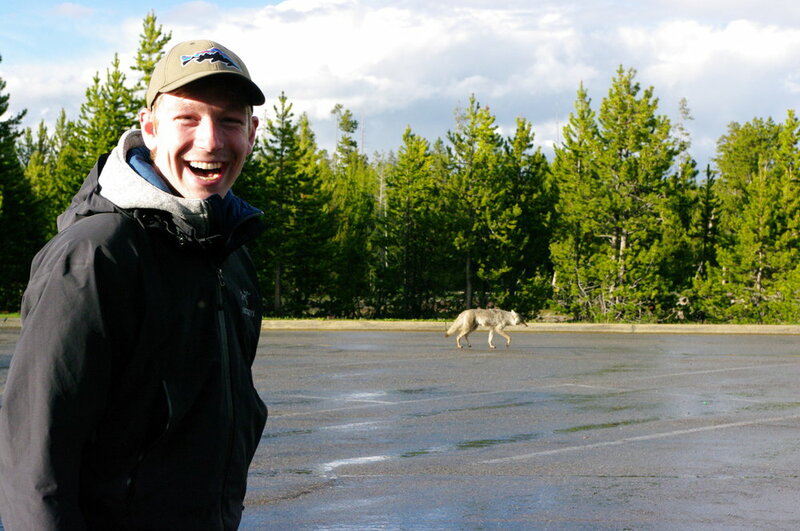 Graduation Picture, we made it through Yellowstone! By day six I think normally I would have been tired, but instead I woke up with butterflies in my stomach. This was the day that I was going to finally get to the city I would be spending my summer in. Ike was a saint and let me talk about my thoughts and feelings in the car so I could try to calm myself a little. You see, this internship is one of the first "big girl" jobs I have had, and besides spending my summers in Des Moines (which doesn't count since I've spent the last four years going to school there), I have never been away from home for that long. So, Ike helped me mentally prepare for living in Seattle while I helped prepare him for his CPA exams by reading him flashcards as he drove (fair trade?). The day was all driving until we finally arrived around 4pm at my host family's house in Renton, Washington. They welcomed us both very graciously, and then Ike and I went to work unpacking the car. And that was the end of our road trip. Not to say its the end of our adventure, though. Ike hung out with me here in Seattle until he had to fly back to Iowa that Monday. I have been experience the summer of a lifetime here and having adventures of my own, and at the end of the summer Ike will come out here again we will have a whole new road trip story to bore you with! Until then, I will try to be better about posting on time you try to keep up to date with my life that even I have struggles keeping up to date with. I am relatively active on social media and will do my best to respond to emails and texts as well, so there is that option as well.